Update – 10 October 2018 – Now you can play Fortnite simply by downloading the game from Epics website. Earlier people were required to register for the game to get an invite. Now there are no such restrictions. 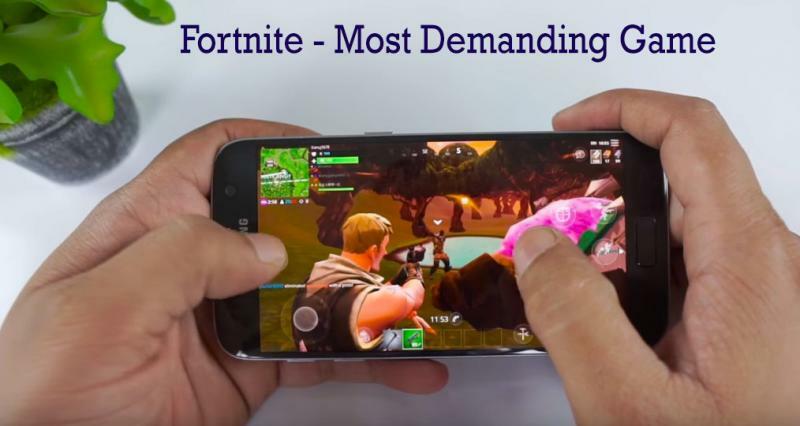 Epic Games has launched the new game Fortnite for Android Phones and the game is exclusive to selected Samsung Mobiles for now. The worst kept secret of Gaming leaks, the Game was rumored to be exclusive for Samsung Note 9. But Samsung has generously extended the Game for flagship buyers of the Galaxy S and Note range. Notably, if you have Samsung Galaxy: S7 / S7 Edge, S8 / S8+, S9 / S9+, Note 8, Note 9, Tab S3, Tab S4, you can download the game and start playing it on mobile. Here is the link to download Fortnite for Samsung Mobiles. Fortnite is really popular on other platforms such as PC, XBOX, PS4, Switch and iOS and has over 1.2 crore players. Apart from PUBG it is one of the most sort after game currently. Gameplay – Is it too Graphically Demanding? So, I downloaded the Game from the Fortnite official website and installed it. The game is over 1 GB to download and takes a while to install and finalize the settings. The phone I used to download the game is a Samsung Galaxy S7 (Indian version that comes with the Exynos 8890, Mali-T880). The minimum requirements suggest that the game will work on the Adreno 530 GPU used in the Snapdragon 820 processor. The Exynos 8890 is no slouch and scores over 120,000 on the Antutu Benchmark and still the game runs only on the low settings. Is fortnite demanding? I think it is way more demanding than any other game I have ever tested on Android. Much more than PUBG or the latest Asphalt 9. Notably, the Game will come to the other phones in few days (it is not clear when the developer will release it). But it is likely all other users will get the Android Beta for Fortnite in the coming days. Okay, Below is the list of smartphones that the developer has listed as supported. But these are not the only phones, which it will run there are many more Android phones that will be able to run it if the performance is closer to the Snapdragon 820. Most of the above mentioned mobiles are high-end current generation mobiles such as OnePlus 6, Oneplus 5T, LG G7, G6, Asus Rog phone, or the Latest Pixel mobiles. Powerful phones such as the XIaomi Mi 8, Mi 8SE, Mi Mix running on processors such as Qualcomm Snapdragon 845, 835 and Snapdragon 710 or higher can easily play this game. Also, it will work on the Kirin 970 and only very high-end Huawei processors. Also, there are several phones not mentioned in this list but the game will run on those if they have SD 820 or higher. As stated above the Game requires at least the Adreno 530 GPU used in the Snapdragon 820 so we can easily say it will work on the phones such as OnePlus 3 or the 3T having SD 820 or 821. But what about other mid range phones such as Xiaomi Redmi Note 4, Redmi Note 5, Redmi Y2, Samsung J6, J8 or Oppo RealME 1 (Helio P60)? It is unlikely that the game will run on these phones. Mobiles with Qualcomm Snapdragon 660 may be able to run it (not clear at the moment) such as Xiaomi Mi A2 or the Nokia 7 Plus. Also, phones running the popular Snapdragon 636 along with the Adreno 509 (Redmi Note 5 Pro, Asus Zenfone Max PRO M1(4 GB or 6 GB), it is unclear if the game will run, but in my opinion it may not unless the developer optimizes the game further. It is barely running on the Samsung S7 which can easily play PUBG and Asphalt 9 in high settings with ease. You can sign up for the official Beta for the Game on the Epic Games website to play on anyother Android mobile with early access. Once you sign up for the Android Beta the developer will send you an email and you will get the link to download the game. For those who can’t wait to try out the game on their phone there is good news. The folks at XDA has ported the game and it can work on other Android devices and you can download Fortnite for any Android mobile using this link. The game is interesting to say the least and will quickly have millions of gamers hooked to it on Android mobiles. Also, PUBG is great and popular but it is a good option for those looking for more action in a different type of FPS game. What I didn’t liked is the optimization of the game which makes it so taxing to run on the Android mobiles. 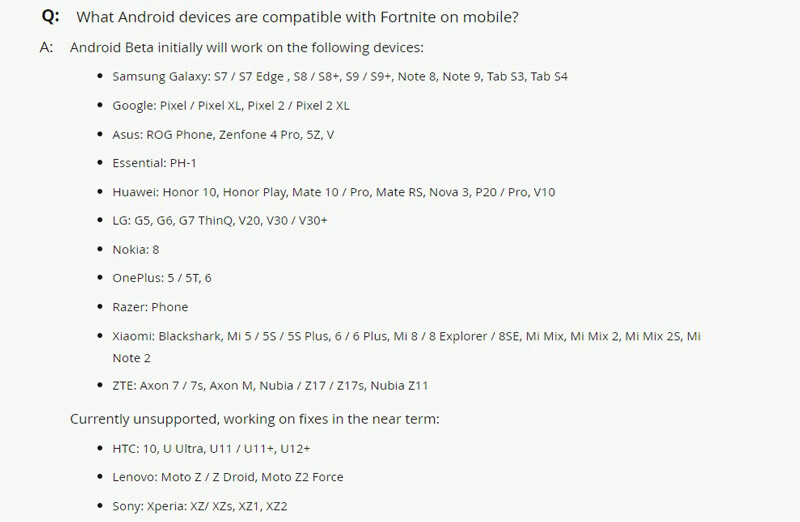 Considering, huge number of Android users will have issue in play fortnite on their mobiles. Also, it is a loss for develper who will miss out on a huge number of potential players because of high requirements. So what are your thoughts about the new Fortnite for Android – Share with me in the comments and let’s have a chat about it. Can it run in Real Me 2 or Real me 2 pro? Can i run it on samsung galaxy note 5 ?